Emily Walters is a sharp, inquisitive fourteen-year-old north Florida girl who loves maps, her rusty old bike, and the forest behind her house. Sometimes her dreams tell her the future and sometimes her waking hours bring wise birds and other spirits into her life. 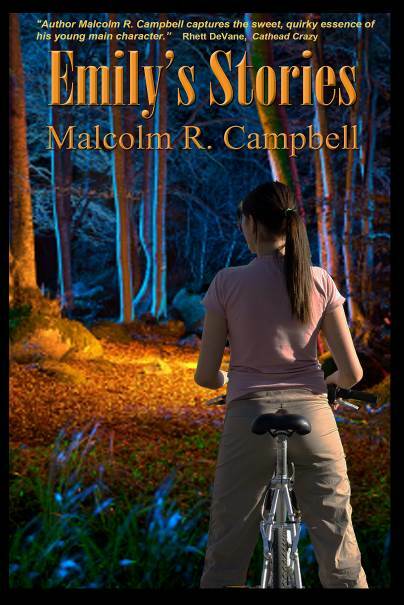 In these three short stories, join Emily in adventures and mysteries. When her family vacations in the mountains in “High Country Painter,” a wise Pine Siskin tells her she must quickly learn how to paint dreams into reality to prevent an afternoon hike from becoming a tragedy. In “Map Maker,” she’ll need her skills—and the help of a Chuck-will’s-widow—to fight a developer’s plans for from bulldozing the sacred forest behind her house and replacing it with a subdivision. In “Sweetbay Magnolia,” she’ll learn the secrets of her grandmother’s favorite tree, the crumbling almost-forever house down on the river, and why some ghosts would rather visit than haunt.